RK Suresh is creating a niche for himself in front of the camera with a wide variety of roles in many films. He would soon be the baddie for Vikram in Vikram Chander’s film. Suresh elaborates on this. “I like my character in the film and it is very good. It will be a little different from the rural types I had earlier played as this will be a city based one. I will be playing someone hailing from north Chennai in this flick. I am not sure if I can reveal more than this. I have worked with Sasikumar sir, Vishal sir and now when I am going to be working with Vikram sir, I feel very happy about it. Thanks to the director! 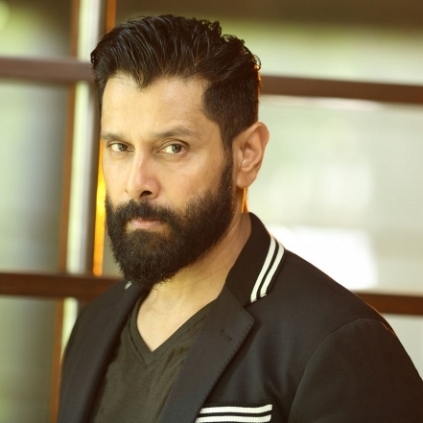 My schedule will begin in two days time and I will be meeting Vikram sir. Besides this, I will be playing a hero in Billa Pandi whose shoot will be commencing from March. Yogi Babu, Abinaya and Induja are my co-stars. It is also a wonderful script. Saravana Sakthi is the director. I have done an important role in Udhayanidhi-Gaurav project. I have also essayed a main role in Studio Green’s Har Har Mahadevaki. For the first time, I am doing a comedy role”. We wish you the best RK Suresh! Which one of these two Vikram movies will hit the screen first? Confusion: Who is directing Vijay Sethupathi now? After Enthiran and 7am Arivu, it is going to be 2.0! People looking for online information on R K Suresh, Vikram will find this news story useful.